Concrete block is a popular choice for foundations. 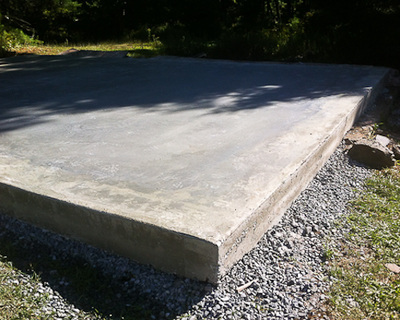 Concrete block prices tend to be lower and when properly installed these foundations are economical, water resistant, long lasting and will need very little maintenance. ​For new construction projects, consider using decorative concrete block for the top few course. 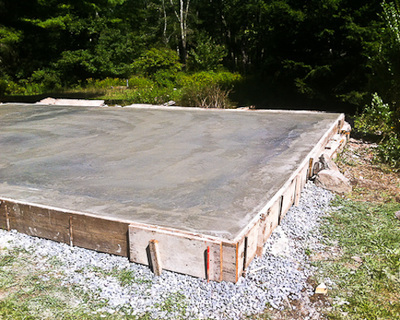 Poured concrete foundation walls are a fast, well established foundation option. 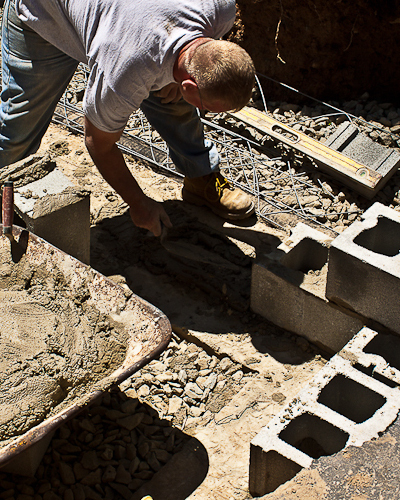 They are sturdy and dependable with the only downside being a lesser ability to modify as compared to concrete block walls. 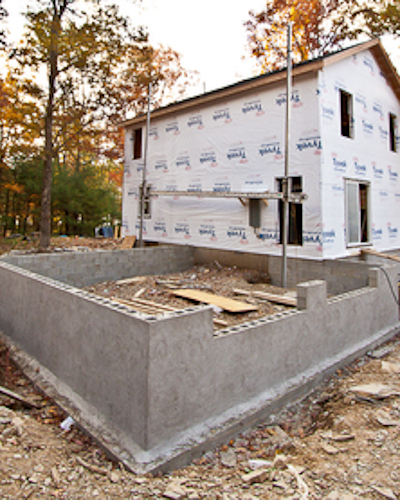 Insulated Concrete Forms (ICF) are not new but are a relatively newer option compared to the last two. 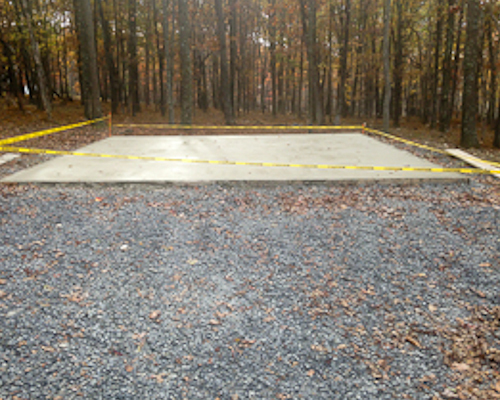 They are wonderful products in the hands of an experienced professional. 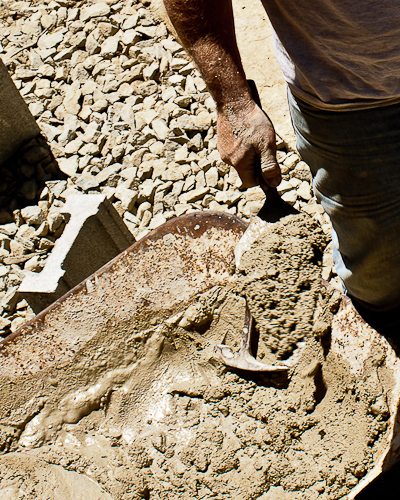 Your project, budget and concerns will dictate which form you should use. 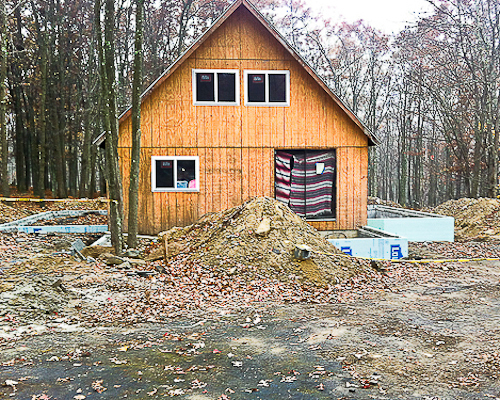 Before you have your house plans finalized, give us a call. 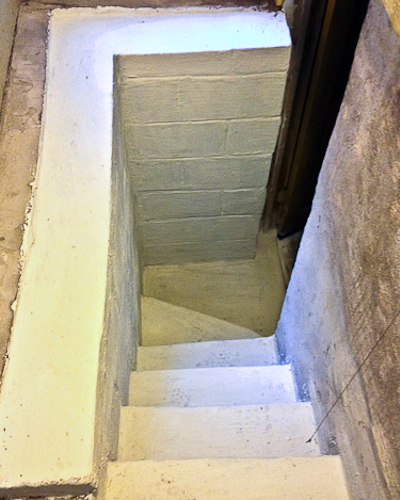 We can help you go over what points you may want to discuss with your architect. 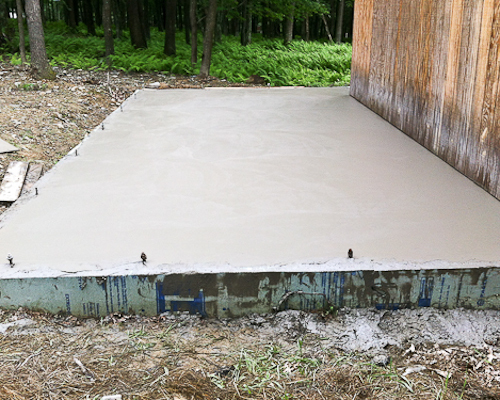 Concrete slab on grade foundations are a great choice in our local area due to the high water tables. These foundation types can be used for additions or whole house foundations. 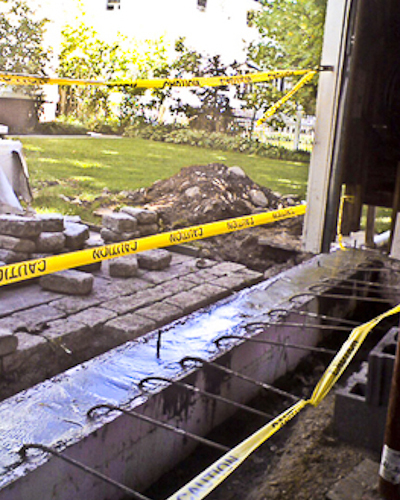 They are much more affordable due to the lower cost of materials and excavation. They will also require much less lifetime maintenance. This type of concrete slab is perfect for shed pads, metal buildings, and prefab or custom garages. 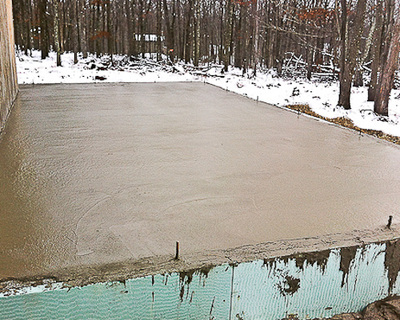 A properly installed base will withstand the regional freeze/thaw cycles and keep your concrete crack resistant for many years. 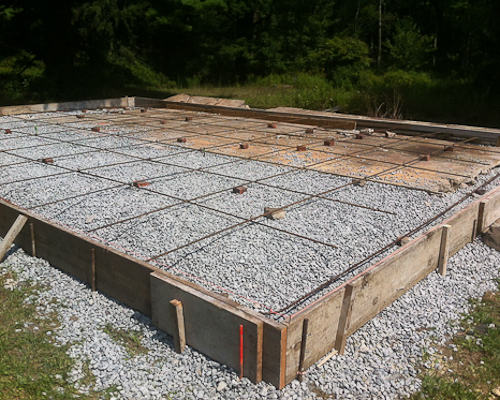 Foundation slab repair should be very minimal, if the concrete is installed correctly. 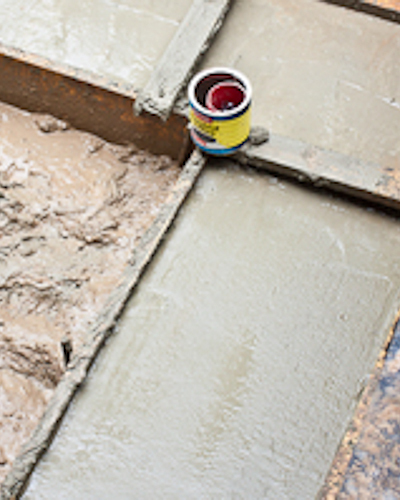 Always hire a proven concrete contractor to make the most of your investment. Contact us! 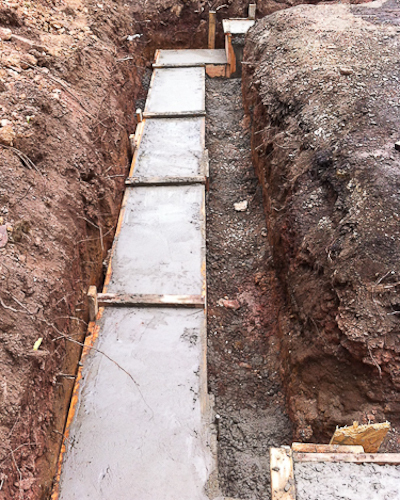 Concrete footings are the very base of the structure and important in every way even though they remain unseen. 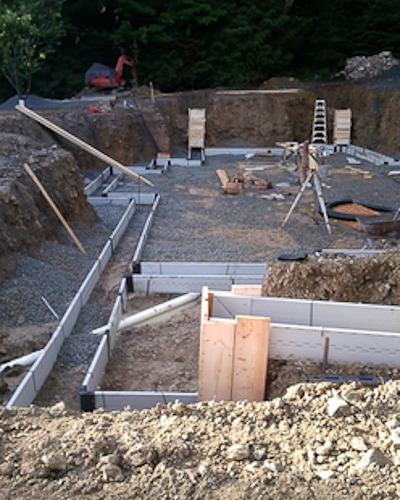 ​The longevity of all future construction will be effected by the footings so it is important that they be well constructed and that is the reason for the associated codes and inspections. 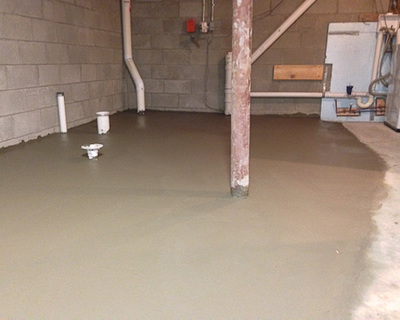 For this reason, only use a well qualified concrete contractor.